A grant award constitutes a contractual agreement between the grantor (funding source) and the grantee (the district, on behalf of a teacher, school, or department). This agreement should not be entered into without appropriate approvals. The Department of Resource Development facilitates district and board review and approval. 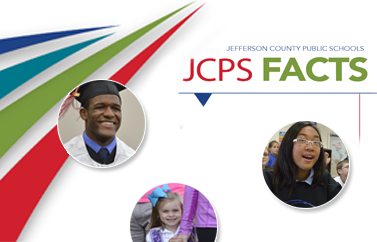 A grant application summary sheet is required for all grants submitted by the district and the Jefferson County Public Education Foundation (JCPEF). A school or department identifies a grant opportunity or is approached by an external organization to partner in a grant. Contact Resource Development regarding all grant applications before submitting, committing as a partner in an external organization's grant application, or providing a letter of support. Schools should not use the JCPS EIN or the JCPEF EIN on any grant application without the review of Resource Development first. Next, complete the Grant Application Summary Cover Sheet (which shows the grant's alignment with the strategic plan, Vision 2020: Excellence With Equity), obtain approval from a principal or department head, and submit the form to Resource Development before any grant is submitted. Resource Development will get the appropriate assistant superintendent's approval after the Grant Application Summary Sheet is signed by the principal or department head. Next, submit the grant budget to Resource Development, which will work with Financial Planning and Management to review and approve before the grant is submitted. Please submit the Grant Application Summary Sheet and grant budget at least five business days before the grant is due. If the funder requires any data or student information to be collected, the school or department must get approval from Joe Prather in the Data Management, Planning, and Program Evaluation Department prior to submitting a grant application. Any grant submitted through the JCPEF must follow these same procedures. All donations, gifts, and grants must be approved by the Jefferson County Board of Education (JCBE) through a board report before any funds are expended. Work with the Department of Resource Development (Ext. 3290), to process the Board Report. The appropriate form can be found in the Principal’s Planner or here. The grant responsibilities chart shows the role of JCPS departments and project directors in submitting and managing grants.